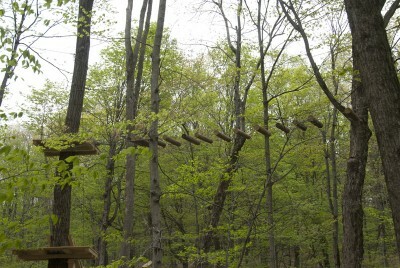 Mountain Ridge Adventure offers a treetop challenge course and zip line park. Experience the thrill of zip lining across a 500′ long gorge. Move from tree-to-tree, sometimes as high as 65′ above the ground, while traversing exciting obstacles and aerial adventures.